Step 1: Hang your shelves or choose a unit that sits on the floor. 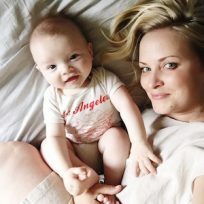 You need to keep in mind that little ones may pull on them or climb on them. 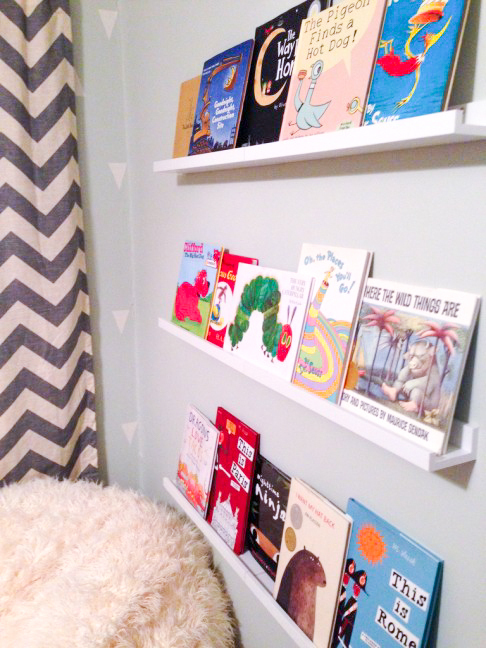 That's why I choose thin ledge shelves that I drilled into the wall (following the instructions that came with the shelves) and hung low enough to the ground for my son to reach most of the books on his own. Step 2: Place books on the shelf, making your kid's favorites the most easily reached. Step 3: Make them comfortable with seating, pillows, or their favorite blanky. 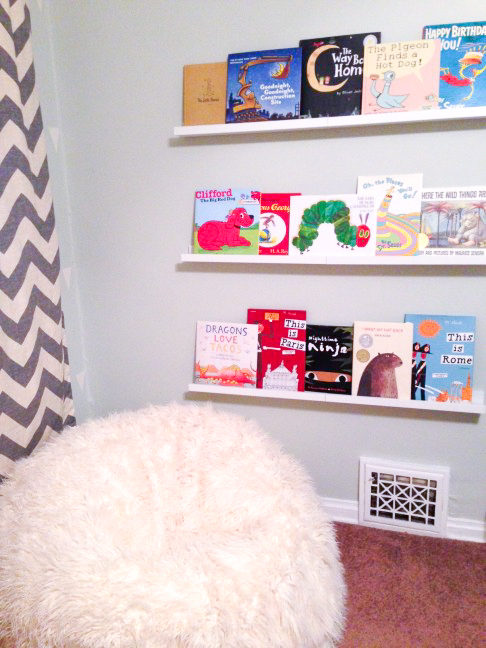 Step 4: Encourage reading time every day—if my son won't nap, he does an hour of quiet reading time in his nook. The total cost of my son's book nook was under $100 (for the shelves and a couple new books (we already had the bean bag). You don't have to do anything fancy—your kids don't know the difference. Just an accessible place for their books and a comfortable place to read them is all they need! Photos by Chandra Fredrick of Oh Lovely Day.